Directed by Charlie Lightening, the clip presents footage of the Oasis rocker in the studio, at home and on- and off-stage during his world tour in support of the project and features cameos by David Beckham, Stormzy, and Dave Grohl and Taylor Hawkins of the Foo Fighters. Gallagher will release "I've All I Need" as a limited edition 7" vinyl with the track on the A-side and the song's lyrics etched into the B-side. 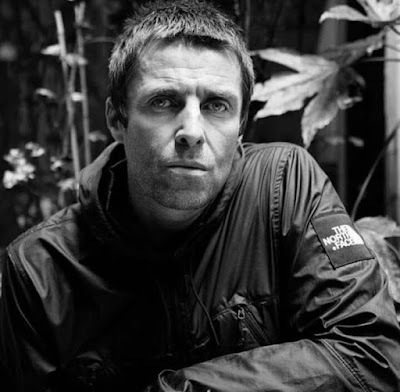 “As You Were” topped the UK album charts upon its release last fall and reached No. 30 on the US Billboard 200. Gallagher worked on the set with producers Greg Kurstin (Adele, Beck) and Dan Grech-Marguerat (Radiohead, Mumford And Sons). Continuing to tour behind the album, the singer opened for The Rolling Stones at London Stadium on May 22, where he closed out his appearance with an acoustic performance of the Oasis classic, “Live Forever”, as a tribute to victims of the Manchester Arena terror attack on the day of its one-year anniversary.